A truce within German Chancellor Angela Merkel's conservative camp has shattered with her hardline interior minister Horst Seehofer defending protests marred by neo-Nazi violence and blasting migration as "the mother of all political problems"
The latest shots across Merkel's bow came just two months after the minister, Horst Seehofer, threatened to torpedo her ruling coalition over the explosive border issue. 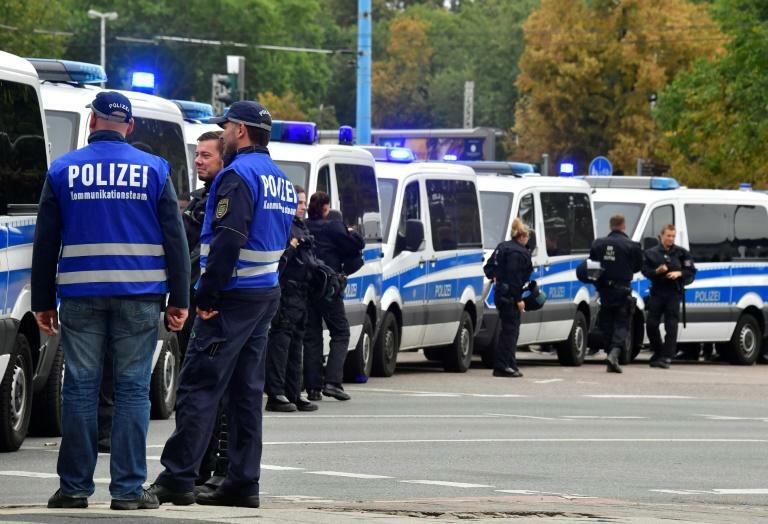 An uneasy calm that had taken hold during the summer holidays shattered in the aftermath of a fatal knife attack in late August against a 35-year-old German man in the city of Chemnitz allegedly committed by asylum seekers. 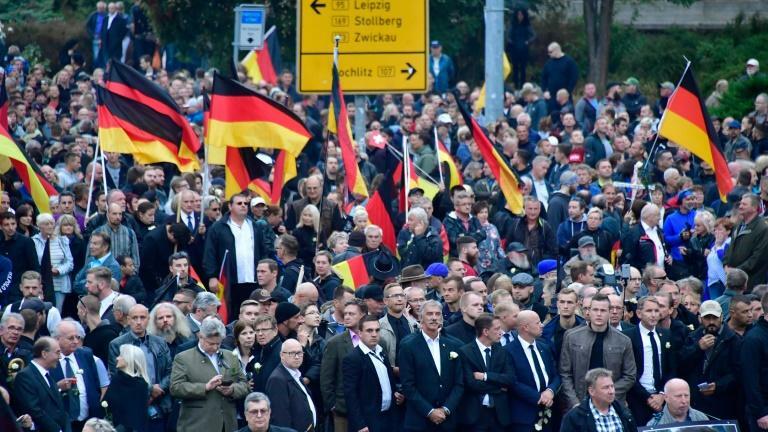 Far-right groups and thousands of local citizens took to the streets in the days after the stabbing, with a number of participants attacking people who looked foreign, and flashing the illegal Nazi salute. As Germany's top law enforcer, Seehofer had faced calls to condemn the ugly scenes of marauding mobs that also assaulted reporters and police. He reserved judgement until Thursday's incendiary interview, in which he said he wished he could have joined the demonstrations. "There is agitation and outrage among the public over this killing that I can understand," Seehofer told the daily Rheinische Post. "If I weren't a minister, I would have hit the streets as a citizen -- of course not with the radicals though." While he condemned the violence, Seehofer, the most strident critic of Merkel's liberal refugee policy within her coalition, expressed sympathy with the anger that fuelled the protests. "The migration issue is the mother of all political problems in this country. I've been saying that for three years," since Merkel opened Germany's borders to more than one million asylum seekers as other EU countries shut the door to them. His comments echoed remarks this week by Seehofer's counterpart from Italy, firebrand interior minister Matteo Salvini, that Merkel had "underestimated" the troubles mass immigration would bring. Merkel pushed back against the gloomy assessments and the charges she had been reckless with public safety. "I would put it differently -- I would say that the migration issue poses challenges. There are problems but also successes," she told RTL television. "We have a completely different situation than in the autumn of 2015 (at the height of the refugee influx). Hence we can tell people that we have implemented measures to prevent a repetition," including pacts with Turkey and several African countries to fight people smuggling. The Social Democrats, junior partners in Merkel's administration, were stronger in their criticism of Seehofer. As some SPD deputies called for the minister's resignation, party leader Andrea Nahles said he threatened the government's stability. "Horst Seehofer and the CSU are playing with fire again and reigniting the conservative conflicts we saw this summer," she said. "That's not OK. It needs to stop." Seehofer's Christian Social Union (CSU) is looking down the barrel of a tight state election in Bavaria next month. 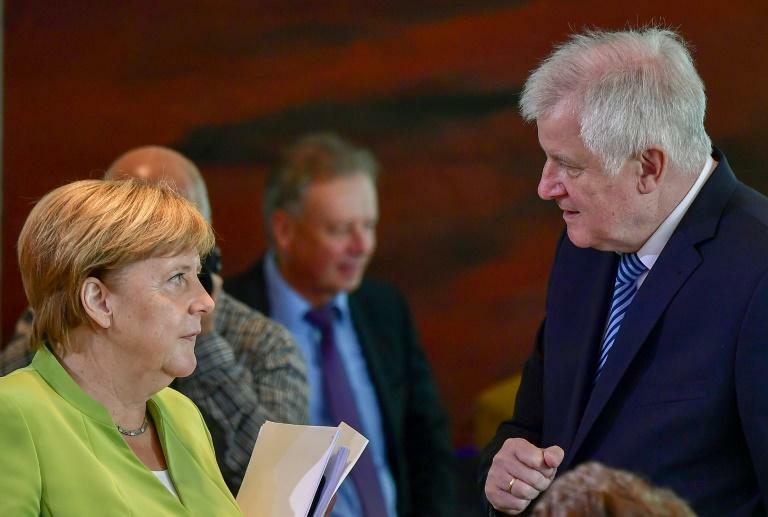 With an eye to the poll, in which the CSU is fighting to head off a strong challenge by the far-right AfD party and maintain its absolute majority, Seehofer directly contradicted Merkel's assessment of events in Chemnitz. He was quoted by media as saying late Wednesday that her government had been too quick to criticise the protests and that he had waited until he had "authentic information" to comment. The same day, Saxony premier Michael Kretschmer denied in a speech to the state assembly that extremists had run wild in Chemnitz. "There was no mob, no hunting of foreigners and no pogroms," he said, drawing accusations that he was playing down the far-right problem in his region. Merkel has repeatedly expressed shock about the distressing scenes in the city -- which were captured on video and described to the media by several victims. On Wednesday she stressed that "the images I've seen show quite clearly the hate-filled pursuit and persecution of innocent people". Seizing on the fresh rift in the government, AfD leader Alexander Gauland defended Seehofer, telling the daily Neue Osnabruecker Zeitung that he was "perfectly correct in his analysis" of Merkel's migration policy. "But it won't help him much because he fails in implementation (of his own policies) -- Angela Merkel just puts hurdles in his way."